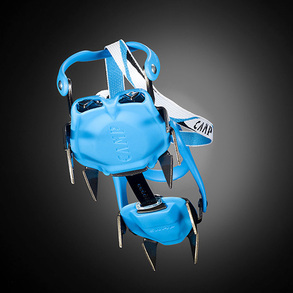 A great go-to crampon for general mountaineering. Traditional chromoly steel construction is proven to stand the test of time. The universal binding with thermoplastic heel and toe harnesses wrap around nearly any hiking or classic mountaineering boot and are secured by strong nylon straps. The Stalker Universal is an excellent and affordable choice for safe travel in the mountains.